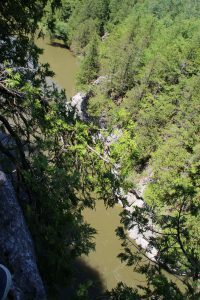 This natural area features a Limestone Bluff Cedar-Pine Forest, over 1,500 feet of shoreline along the Winooski River, and is one of the deepest gorges in Vermont. The forest provides habitat for over twenty bird species including the nuthatch, cardinal, and black-capped chickadee. 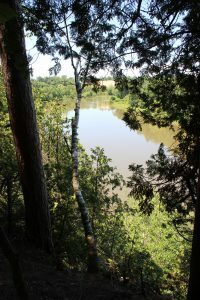 Other wildlife and plants include deer, beaver, buffalo berry and sweet fern. 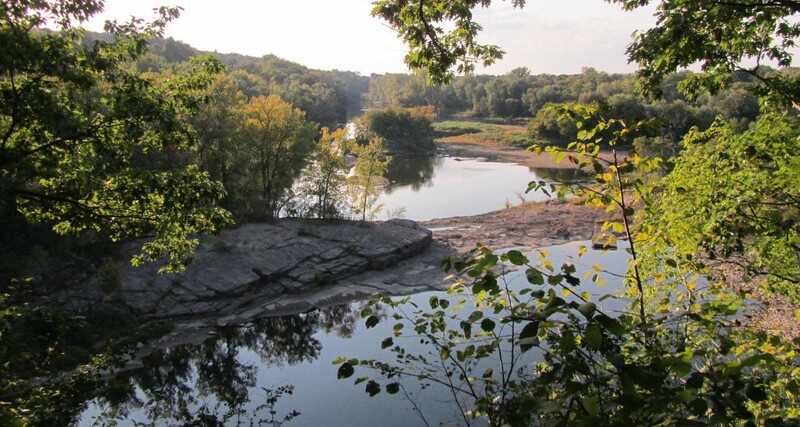 Several rock outcrops along the foot path invite visitors to sit and take in the view of dramatic cliffs and the Winooski River far below. The footpath ends at the last of three viewing areas. The Winooski Gorge Natural Area is located in South Burlington on Lime Kiln Road immediately south of the bridge over the Winooski River. The roughly eleven-acre parcel was acquired by the Winooski Valley Park District with the help of a grant from the Vermont Housing and Conservation Board.